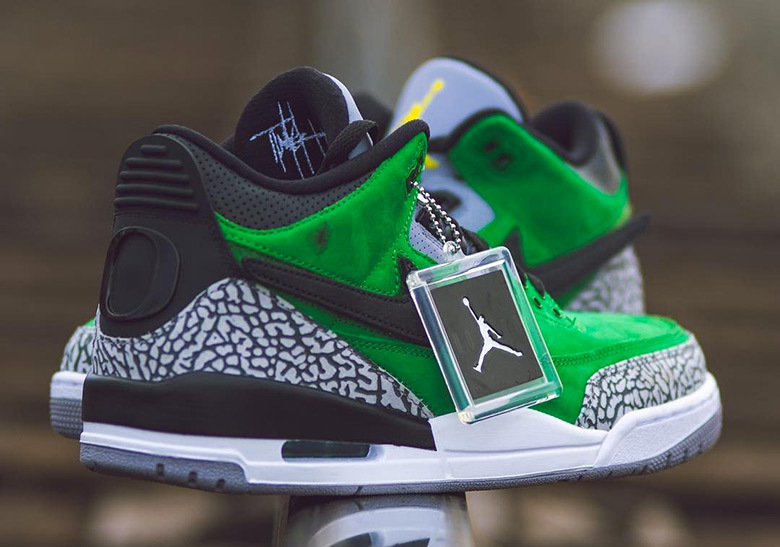 Already boasting the strongest PE rotation in all of college sports, the Oregon Ducks football team add a dashing new exclusive to their rotation in the form of an Air Jordan 3 Retro. 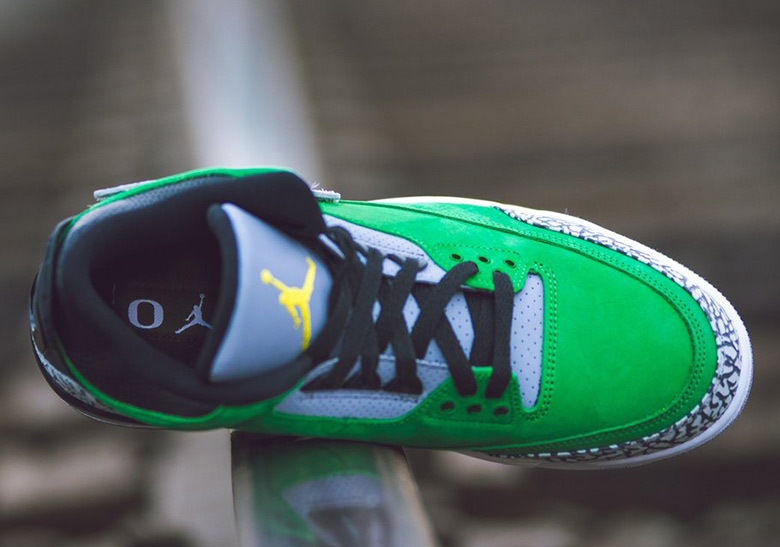 This particular iteration takes on the school colors of green and yellow via the suede upper and Jumpman logo, while the oversized “O” can be seen on the heel piece in place of the customary branding. 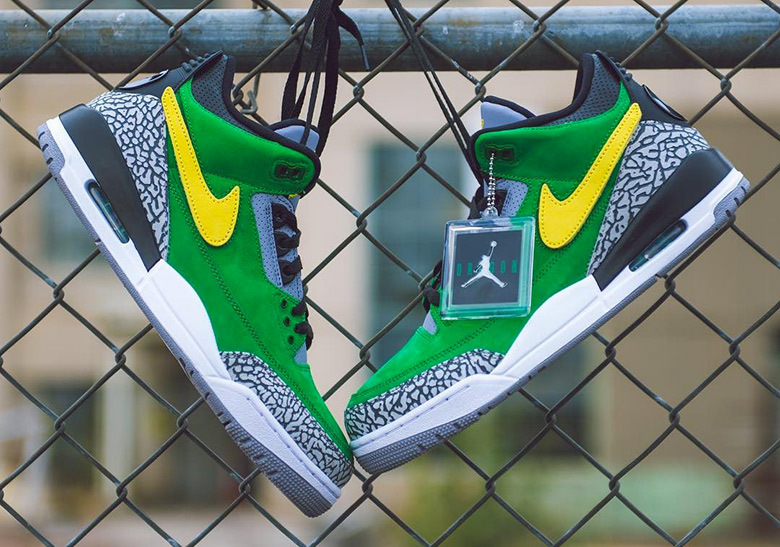 What makes this this Air Jordan 3 “Oregon” PE truly distinct from the previous “Pit Crew” and white/green versions is that this is modeled after the recently released “Tinker Hatfield” version, an alternate design that the innovative designer cooked up in the late 1980s. 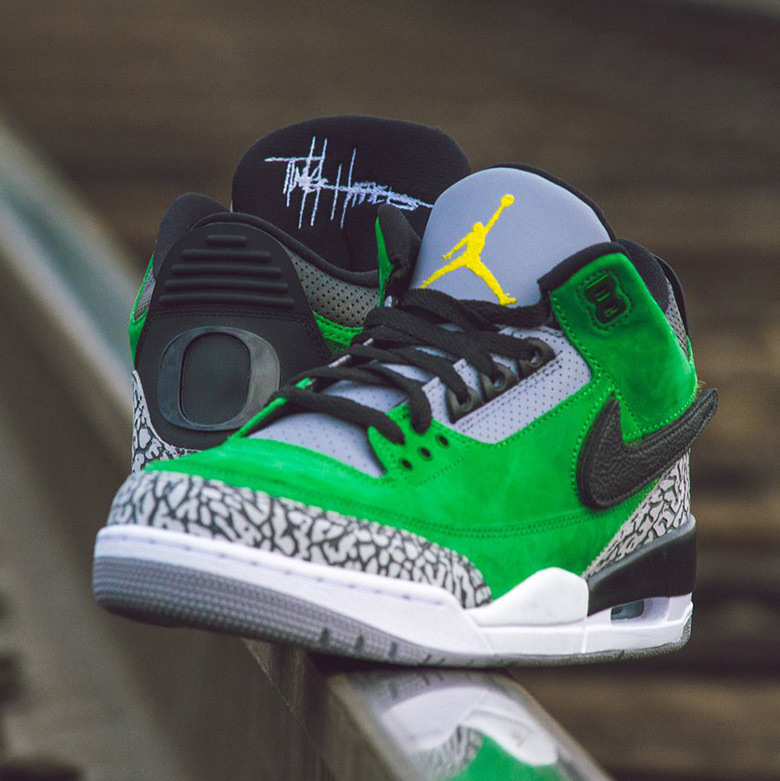 The Swoosh logos on the upper are also replaceable as the shoes come with removable patches in black and bright yellow leather, while the hangtag features the newly revealed OREGON AIR symbol that you might’ve seen in a recently dropped hoodie. A release is very, very unlikely as these have been issued exclusively to Oregon Ducks football players.